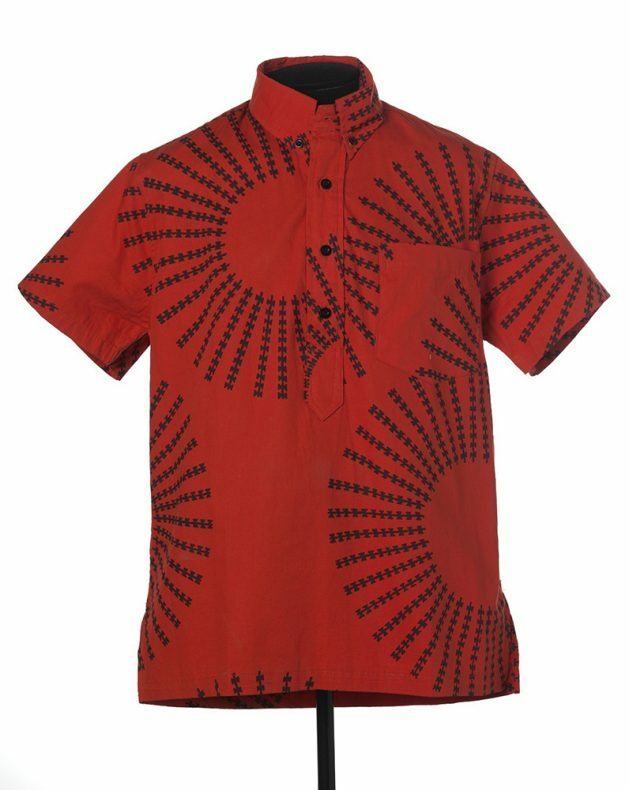 The Aloha shirt is an iconic Hawaiian taonga (treasure) with a rich history and layers of meaning. Assistant Pacific Cultures curator Sonya Withers explores the stories in their designs. If there is any culture across the Pacific rim that can naturally produce clever combinations of colours and the romantic scenery of their islands through the wardrobe of fashion it would have to be the Hawaiians. We have seen this through the intricate feather work and colouring of the famous ‘ahu‘ula (1) that was draped over Captain Cook’s shoulders by prominent ali‘i (chief) Kalani‘ōpu‘u. We were reminded of this generosity and sense of intentionality during numerous ‘talk stories’ with Aloha shirt makers, educators, collectors, and wearers we encountered across Hawai‘i during our recent co-collecting project. 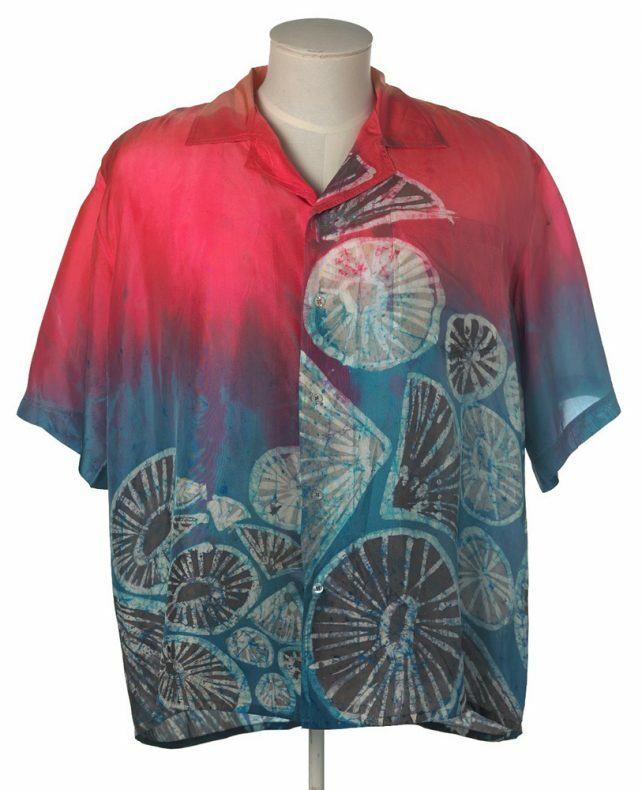 Before heading to Hawai‘i I had accustomed my eyes to classic Aloha shirt makers of the late 1950s: Reyn Spooner, Kahala Sportswear, Alfred Shaheen, and so on, along with recent campaigns from Dior and Chanel who were glitzing the Aloha shirt upon airbrushed models. I had saturated my vision with hash prints that emphasised the curves of palm trees to the movement of women in hula and idyllic flora of the Pacific. But I was curious (possibly hungry) to see what indigenous Hawaiians were doing with the Aloha shirt today – especially in a world where we are increasingly seeing the appropriation and misuse of indigenous cultural imagery on the catwalk by non-indigenous designers. My initial response, like many of my creative peers in the Pacific, was to ‘reclaim’. The vast collection of shirts, coupled dresses, and keiki (child) Aloha shirts have provided Te Papa’s Pacific Cultures collection with more than just ‘shirts’ from Hawai‘i, but the mana of generosity from everyone we met, their mana‘o behind the prints on the shirts and, more importantly, the knowledge of their kūpuna (ancestors) and aloha āina (love for the land). On Moloka‘i island, we acquired a shirt that features the ‘opihi shell. ‘Opihi is a type of shell fish, considered a rare and expensive delicacy. They can be found suctioned to rocks and if not detached entirely the first time they can prove harder and harder to remove after each attempt. We also met with prominent native Hawaiian designer Manaola Yap, who had recently returned from showing his first collection at New York Fashion week in 2017 (5). 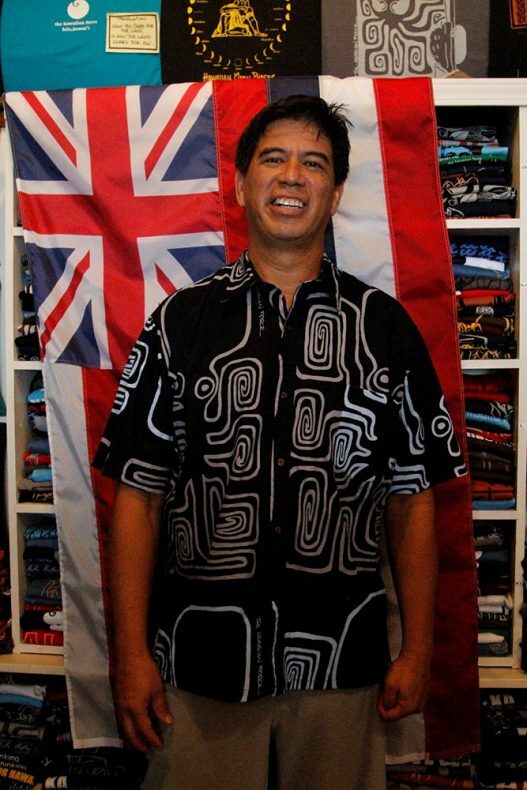 His designs are very distinctive among a sea of Aloha shirt wearers, as they feature imagery produced by ‘ohe-kāpala (bamboo engraved stamps), traditionally used for decorating Kapa. Each design shares its thread of history in Hawai‘i through Manaola’s vision. It has been difficult writing this post because each shirt in this collection has its own kind of Aloha attached to them. It is evident that the designs, production, and wearing of the Aloha shirt has never been about ‘reclamation’ but about Hawaiians’ continued embrace for the past and present, and how this has significantly journeyed their kūpuna’s mana into the world – and more recently so, to Aotearoa’s national museum, Te Papa. Personal communication with Luana Neff at The Hawaiian Force shop in Hilo, Hawai‘i island. 15.10.17. Personal communication with Kala‘e Tonaganan at Kupu A‘e Molokai shop on Molokai island. 13.10.17. Are you able to buy aloha shirts at all?